In spite of the lack of anything Abba-related, other than a few CD’s I’d never seen, and didn’t care to add to my collection. 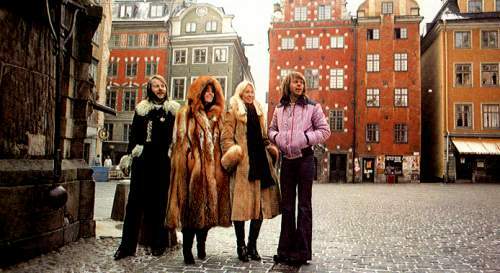 However, we did make a point of walking through Gamla Stan, one of the most beautiful places I’ve ever been, which is also the backdrop to an Abba poster I had on my wall for years. 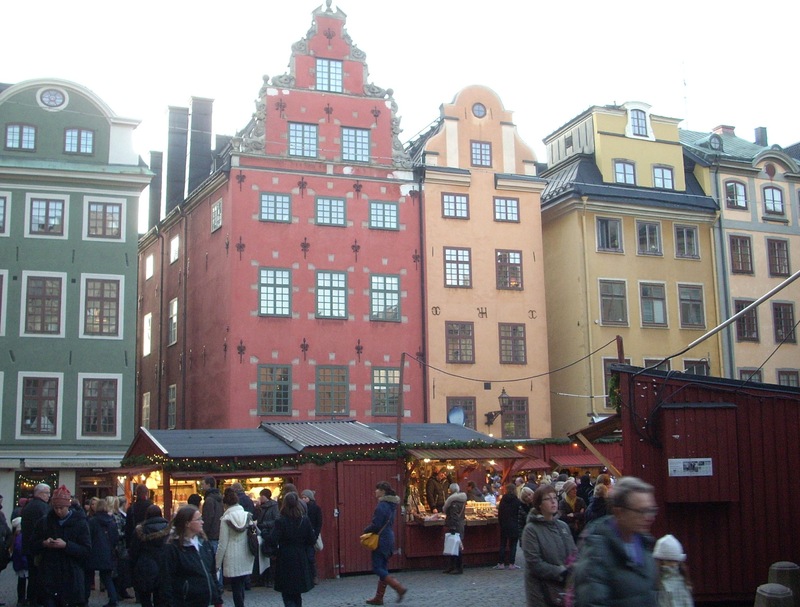 The central square is called Stortorget, and it is the centre of the oldest part of Stockholm, dating back to the 13th century. The buildings are unbelievable. Very tall, very colourful, and unlike anything I’ve ever seen. In fact, all of Stockholm is nothing like I pictured. Not sure what I pictured, but a city on the water was not it. So many of the old buildings ring the waterway, which is full of boats and ships. Every direction is a beautiful view. When we arrived by train on Saturday, the sun was shining, and the city was gleaming with colour. The other thing I wasn’t really prepared for is the number of Scandihoovians. 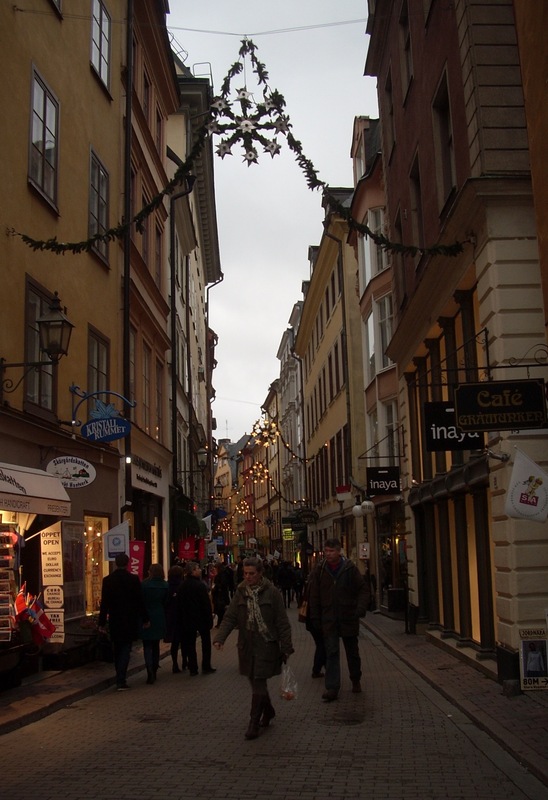 Stockholm is a BIG CITY, and it was hopping, especially on the main streets and avenues. 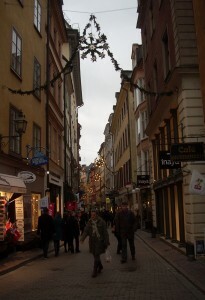 Not crazy about hordes of people, even if they are Swedes, but it was interesting to see the contrast with Gothenburg. 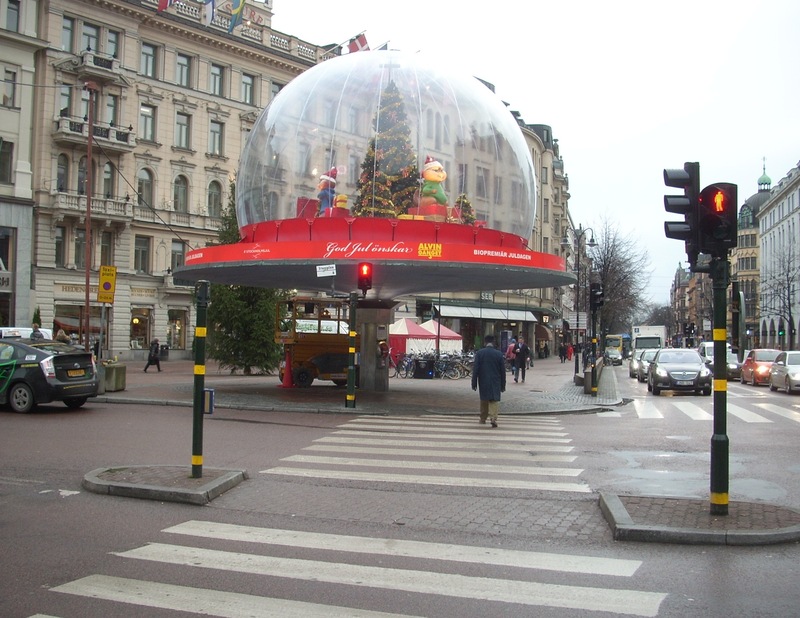 The people in Stockholm are much more multi-cultural, in the visual sense. The Gothenburgians are homogeneously Swedish. Not entirely, of course, but there is a noticeable difference between the two cities. What is common to both, other than a love of skinny red jeans, is the embrace of decorative Christmas lighting. Stockholm, in particular, puts on a beautiful show. There are lights everywhere, and they are all unique and huge. Kinda makes the lights in Edmonton seem hardly worth the effort (but I’m appreciative nonetheless.) In one of the central areas, there is a display of reindeer and Christmas trees. In another, a giant snowglobe. 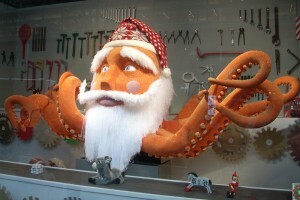 In the windows of the Swedish mall chain NK (like Holt Renfrew), the windows have the old-timey moving Christmas displays. They’re hilarious. Fat elves, and a cross-dressing Santa are among the characters. Santa also shows up as an octopus. Awesome. There is no snow yet, and I can only imagine how beautiful it would be covered in white flakes, but for visiting purposes, I’ll take the rain. Gothenburg, by contrast, is understated. The architecture is spectacular, but more subdued. There is something robust, and…regal, about Stockholm. And in fact, when we went to City Hall, which looks like a giant Romanesque building, the Queen was making a visit, or about to make a visit. Some sort of public apology for government policies with regard to childcare in the past, not unlike the issues plaguing Canadian residential schools. There were hundreds and hundreds of people there. Upshot, we couldn’t take a tour through City Hall, which apparently is quite nice. Spent Sunday in the museums. Beautiful, gorgeous museums. Started out at the National Museum. Galleries aside, it’s an amazing, dauntingly large building, with vaulted ceilings and a grand, marble staircase. There was a 19th Century Russian Realism show, which was truly spectacular. Lots of dead cossacks lying in snow. Very political stuff. 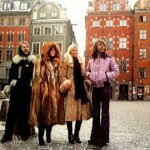 Next, The Four Seasons, by Swedish and other Scandinavian artists. Saw some of my favourite northern painters, including the magnificent Bruno Liljefors, and a brooding Prince Eugen. It’s very, very cool to see these paintings for real. Wish that my art books weren’t packed away, so that I could revisit the experience when I get home. The museum houses non-Scandinavian art as well, and we had a great time going through the different artistic movements, although there is really nothing redeeming about the Baroque era. I was particularly taken with a small portrait by Rembrandt, and some of the later Swedish Modern Design exhibits, but mostly I was there for the 19th and early 20th century Scandinavian painters. Had a coffee and the best kanelbulle, thus far, at the museum cafe, which was also very beautiful. 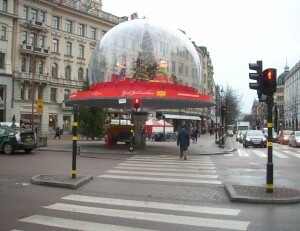 Kanelbulle’s are ubiquitous in Sweden. They are a kind of cinnamon bun with pearl sugar and cardamom. I may have mentioned them already. Can’t help myself, I’ve had one almost everyday I’ve been here. Good thing we’re walking everywhere. Next stop, the National History Museum. Vikings, and plenty of them. Unbelievable and incredibly vast collection of early Scandinavian and Viking artifacts. So gorgeous. Such impossibly intricate work. Love the runes. Love the giant, carved stones. There is even a gold room, with huge quantities of gold jewelry. 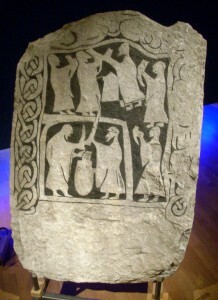 I can’t imagine that there are any artifacts left in Scandinavia for other museums. The last exhibit was a History of Sweden, a feat of organization and design. I’m crazy for that early Medieval stuff, with the freakily elongated fingers and faces of the religious figures, especially when carved in wood, and the Venerable Bede/Bayeux Tapestry typeface (I know what I mean, even if others don’t) that shows up during this era. Once we reached the 20th century, I expected some sort of reference to Abba and I wasn’t disappointed, but one album cover hardly touches their significance. Viking Schmiking. 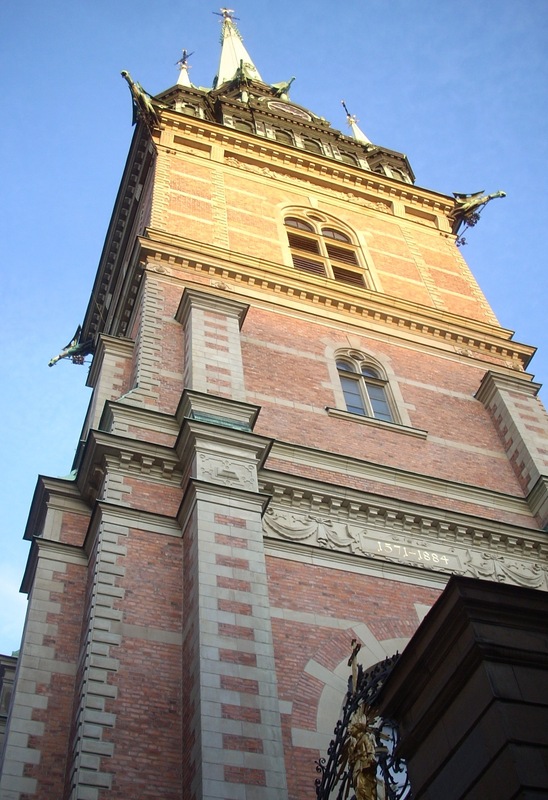 Back in Gamla Stan, we headed over to the Nobel Museum. Vic was taught by the most recent Economics recipient and wanted to see the display, so we all ventured within the walls of higher learning. It was very fascinating. Each year, the recipients receive a hand-painted certificate, which are all unique and quite stunning. Also stunning, the entire collection of hand-made book covers for the 2010 Literature recipient, Mario Vargas Llosa. In the back of the museum, they had a show about Marie Curie, the discoverer of Radium and the first female recipient of the Nobel. Watched a movie about her a few months ago, so it was cool to see some of her actual implements on display. However, in spite of the grandeur, the Nobel Museum will go down in my memory not as a fascinating celebration of the work of the greatest minds and artists of the last 110 years, but as the source of my latest, and perhaps greatest, or most public, shame. About a half hour in, I decided I had to use the washroom, or toaletten, as they say in the vernacular. I rarely use public facilities. I have no idea what combination of neuroses prevents me from eliminating outside of my own home, but suffice to say, I make the occasional exception, especially when I am about 400 cobble-stoned blocks away from ‘home.’ The only bathroom available was the disabled stall, and as one would expect, it was a very large room. I went in, locked the door, pushed on the door just to be sure, and then dropped trou. About two minutes later, a woman opened the door, wide, or wide enough to see that there was a lineup of people behind her. I was too far away from the door to slam it shut, and I had no idea how to say shut the $#@! door in Swedish. We kind of stared at each other in shock, I think, for what was probably a few seconds but what felt like two hours. As happens in times of crisis, the Kubler-Ross Five Stages of Grief descended on me like a ton of bricks, but this time I was unable to move from the first stage: disbelief. I was stuck in THIS IS NOT HAPPENING…athenobelbmuseuminstockholm. Eventually, she shut the door, and I pulled up my jeans, but not before someone else opened the door. By this time, I was a veteran at public shows of…my underwear, and I just casually shut the door, proceeded over to the sink, washed my hands, opened the door, and walked straight through the crowd as if none of the previous five minutes had happened. I continued all the way into the gift shop, and I would have continued right through the wall if the laws of physics, which I had just read about, prevented me from doing so. I went full-bore autistic for the rest of the visit and did not make eye contact with humans again until we left the premises. Well, at least it’s a foreign city, in a foreign country. On the way back to the hotel, we passed a bathroom design store, with toilets in the windows. Sharon and Vic asked if I needed to use the washroom. Public humiliation aside, our visit to Stockholm was very enjoyable. The city is incredibly impressive, and quite different from anything else I’ve seen in Europe. Nevertheless, I was happy to return to the smaller-scaled Gothenburg. For the entire time I’ve been here, I have been discombobulated. Not sure what the time is, or where I am in any given location, and the currency is a little challenging. Seeing the tower of Skansen lit up on the hill next to our apartment was a familiar, and welcome sight.